Several years ago, my sister-in-law proposed starting a family book club. I posted about it way back in 2015 when we first started and we've been going strong, meeting nearly every month since then. Our book club has grown beyond strictly "family", but I consider them all part of my family, so we've kept the name. We typically meet once a month and rotate who is hosting. Our meetings are typically on a weeknight evening and the host provides dinner and wine. Two of our ladies have young kids and they are always welcomed with joy - although we DO talk about books at book club, it's also a great time for us to get together and check in and snuggle babies and tickle toddlers. As we've continued to meet, I think we've found out what types of books different book club members enjoy and what we all tend to gravitate towards. Our favorite books are stories of women and we often have conversations about feminism and female life. Some members prefer lighter books, some prefer heavier books, and I think we end up with a pretty good mix. Here are some of the books that have provoked the best discussions. 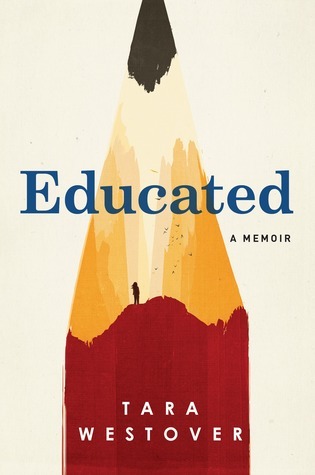 Educated: A Memoir by Tara Westover (Random House, 2018). This was our most recent read and we found it absolutely riveting. It's the true story of a young Idaho woman raised by off-the-grid end-of-days preppers with no schooling (not even homeschooling, really). Westover eventually realized that the only ticket out of her abusive family life was to go to college, so she taught herself to take the ACT, got into BYU and eventually earned a PhD from Cambridge. Our book club was amazed by her story and we talked for a long time about the difficulties she faced, the hardship of having no power as a woman in her family's culture, how schools might or might not "brainwash" students, what it would be like to life without modern medicine or hospitals, and more. 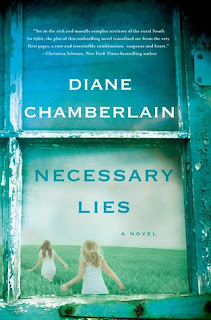 Necessary Lies by Diane Chamberlain (St. Martin's Press, 2013). This was my first Diane Chamberlain, but it won't be my last. This is a historical fiction story based on real events. In the 1960s poor women were sometimes sterilized, sometimes without their consent, if they had real or perceived disabilities. Ostensibly for their own good, but also to keep the state's welfare bills down. This story follows a newbie social worker and a poor pregnant teen as they deal with the ramifications of this program. This one was a particularly good match for our book club because among us we have a social worker, a lawyer, a doctor, and two pharmacists. We all had lots of opinions to share about this little bit of American history. 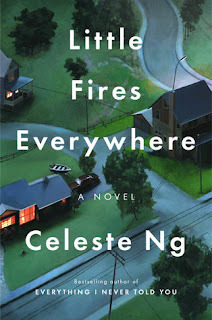 Little Fires Everywhere by Celeste Ng (Penguin, 2017). This story, set in the planned community of Shaker Heights, OH, explores the concept of belonging (and not belonging) in many different ways. A custody battle over a Chinese-American infant threatens to split the town apart and we had a deep conversation about culture and nurturing children. Further reading for book clubs who discussed this book is the upcoming memoir All You Can Ever Know by Nicole Chung, adopted by a white couple in infancy, she decides to search for her Korean-American birth parents when she gets pregnant with her first child. 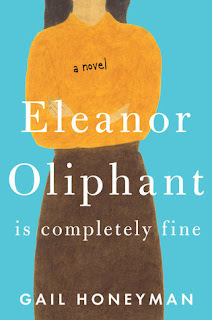 Eleanor Oliphant is Completely Fine by Gail Honeyman (Viking, 2017). Eleanor is, of course, NOT completely fine, but her truth is slowly revealed to the reader as we navigate her quest to meet and marry the man with whom she's fallen in love-at-first-sight. We talked a lot about the different characters in this book and how they related to Eleanor, as well as the reveals throughout the book and how they made us feel. This is a must for lovers of character-driven stories. 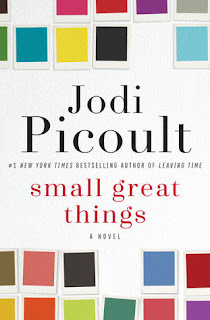 Small Great Things by Jodi Picoult (Ballantine, 2016). When African-American labor and delivery nurse Ruth Jefferson is requested to be reassigned by the white supremacist parents currently giving birth, things get complicated when the baby goes into distress and Ruth is the only one in the room. The baby dies and Ruth is accused of murder, starting a court case that will change her life and the lives of many others. This was a book that encouraged some deep discussion about race and privilege in our multigenerational, varying degrees of wokeness book club. What books have started the best discussions in your book clubs or among your friends or family?